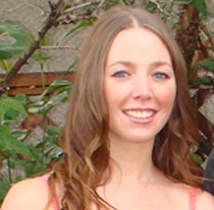 Ainsley joins us from British Columbia, where she graduated from the University of Victoria in 2009 with a Bachelor of Science majoring in Biology. Since graduating, Ainsley has spent the majority of her time working as a Marine Biologist for a BC-based environmental consulting company. Among other projects, she has been actively involved in conducting a marine pollution risk assessment for the Pacific North Coast Integrated Management Area (PNCIMA). 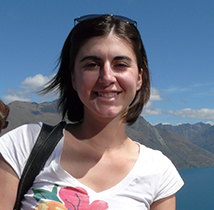 Interspersed with her work as a Biologist, Ainsley has acted as a Research Assistant with the Coastal Marine Research Group in Auckland, New Zealand. It was here that she studied site fidelity of common dolphins (Delphinus delphis) in the Hauraki Gulf and assisted with performing various marine mammal necropsies. Ainsley is particularly interested in the growing concern amongst the scientific community that low-frequency chronic noise generated from increased commercial shipping may have widespread ecological impacts on marine mammals. Her research at Dalhousie will focus on the cumulative impacts of anthropogenic noise pollution on marine mammals and the adaptive management strategies employed to mitigate such impacts. 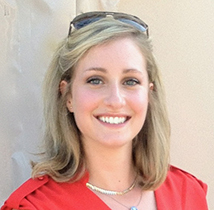 Alana completed her undergraduate education in Journalism and Political Science at Concordia University in 2010. Her interest in environment and social justice issues led her to pursue a position with the Association pour la santé environnementale du Québec (ASEQ), a non-governmental organization specializing in environmental health. 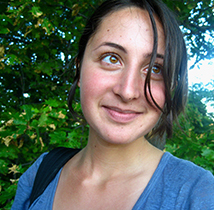 While working with ASEQ, Alana was able to engage with the diverse challenges of running a non-profit organization from community engagement to fundraising and lobbying, and was able to participate in the development of a sustainable healthy housing project and an environmental sensitivities education project with the Université du Québec à Montréal. During the summer of 2012, Alana was hired as an Environmental Coordinator for a private Alberta-based minerals exploration and development company. In this position, Alana was responsible for research and coordination with environmental consultants in preparation for an upcoming Environmental Impact Assessment. Recognizing the impact of climate change and ever increasing marine resource development, Alana decided to continue her education in the MMM program. Sarah Chamberlain graduated from the University of Guelph with a B. Sc. Honours in Marine and Freshwater Biology. Her interests lie in the management of the Canadian fisheries. This interest was sparked and fostered during her three summers working as a Student Technician with the Department of Fisheries and Oceans. In this position Sarah gained valuable experience in the research aspects of fisheries management, specifically in habitat use and population assessments of previously exploited species in the Great Lakes. The photo of her shows her holding a 45 lb Lake Sturgeon, caught and tagged during those summers. Knowing that fisheries was an interest early in her undergraduate career allowed her to focus some of her independent research projects on various aspects of fisheries science. Her fourth year thesis project centred around Rainbow Trout nutrition in an Aquaculture context. Following graduation, Sarah moved to Victoria, BC. Here she worked at an underwater aquarium developing an education program for elementary school children and then as a Fisheries Observer in the trawl fishing fleet . She then was accepted to the Master of Marine Management program and travelled from coast to coast to attend the program as the logical next step in her career in fisheries management. Cameron Christensen was born and raised in Toronto, Ontario. He graduated from York University in 2013 with a BSc (Honours) in Environmental Science and certificate in GIS/Remote Sensing systems. His undergraduate honours thesis focused on OBBN sampling effort analysis of macrobenthic invertebrates in Northern Manitoba, during which he served as a Research Assistant for the Paleolimnology Lab. 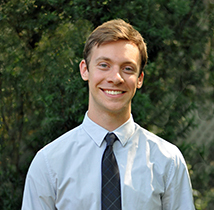 Cameron also worked a student position in the Business Planning sector of Ontario Power Generation, aiding in the future retrofitting of fossil plants to nuclear plants, as well as analysis of their breaker maintenance program. Cameron’s interests lie primarily in marine ecosystem conservation, with relation to hands-on data-collection and research, as well as in laws and principles guiding marine conservation efforts, ideally for elasmobranchs. He looks to complement the science background of his undergraduate degree with knowledge of marine policies from the Masters in Marine Management (MMM). Graduate Project Research - Marine Microplastic and Nanoplastic Litter in Nova Scotia: Confronting the Rising Tides of Plastics in our Marine Waters, Coastlines and Organisms. Graduate Project Research - Improving eel fishery management through the incorporation of indigenous knowledge into policy level decision making – A case study in Eskasoni, Cape Breton. 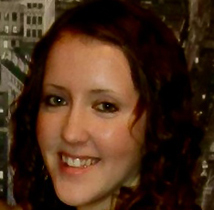 Amber Giles is a first year Master of Marine Management student from Truro, Nova Scotia. She graduated from the University of New Brunswick with a Bachelor of Science degree in Biology. 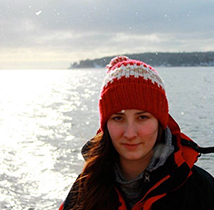 While at the University of New Brunswick she completed the Marine Block Program - an intensive Marine Biology program offered through a blend of lecture, laboratory and field instruction. 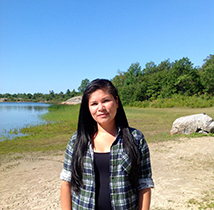 Belonging to both the Maliseet and Mi'kmaq Nations, she brings a unique blend of Indigenous and Western perspectives to her research. The Master of Marine Management provides Amber with the link between marine biology studies and the management of marine ecosystems. Amber is interested in ways that indigenous knowledge systems can enrich the management of fisheries and the promotion of sustainable ecosystems. She is thrilled to be working with the Fish-Western and Indigenous Knowledge Systems (WIKS) team and will be focusing on the management of fisheries in Mi’kmaq communities of Nova Scotia. Prior to starting her master’s program, Sonia acted as Marine Protected Area Management Assistant at Sustainable Grenadines Inc., a trans-boundary Non-Governmental Organization in St. Vincent and the Grenadines. Working with local community groups, businesses, NGOs, government, and funding agencies, she developed an interest in conflict management, ethical considerations of international development, and using stakeholder engagement and education as management tools. Sonia graduated with an honours in Psychology from McMaster University in 2008. In 2012, she completed a second honours degree in Marine Biology at Dalhousie University. While working under Dr. Boris Worm, she became interested in the conservation of large marine predators. As a Dive Master and Reef Check practitioner, Sonia is concerned with the effects of human pressures and climate change on marine biodiversity. Using her marine management experience, Sonia aims to act as a liaison between science, community, and policy to promote healthy oceans and resilient coastal communities. 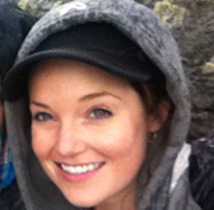 Shelby McLean graduated with a Bachelor of Science majoring in Biology from Dalhousie University in 2013. Growing up by the coast of Prince Edward Island she was fascinated by marine life from an early age. Happy memories of exploring the shoreline influenced her decision to study Biology. During her undergraduate degree she volunteered in a lab that specialized in coastal food web ecology. Working with a multitude of different coastal ecosystems ignited her passion for coastal ecology, ultimately leading to her honours research which focused on the temperature tolerance of different Nova Scotian salt marsh meiofauna (in particular three different species of temperate foraminifera). While already having a strong background in the science behind coastal ecology, Shelby decided to pursue a Masters in Marine Management in order to learn more about different management strategies designed to preserve and protect the coastal ecosystems that she is so passionate about. Chloe grew up in Ottawa, Ontario and graduated from Dalhousie University in 2012 with a Bachelor of Science in Marine Biology (Honours). Upon graduating, she set off for the Bermuda Institute of Ocean Sciences and worked as an intern in a coral ecology and bio optics laboratory, spending most of her days underwater surveying the Bermuda Reef platform. In 2011, she spent 6 weeks in the Bay Islands of Honduras collecting data for her honours thesis, entitled “Temporal Trends in Coral Resilience and Recovery”. Chloe is a certified PADI Rescue Diver as well as an AAUS science diver. During her tenure in the MMM program, Chloe hopes to examine the ways key management strategies such as marine protected areas can better the health of ocean communities. From hands on experience in developing coastal communities, she also hopes to work on creating and maintaining sustainable management practices involving fisheries and coastal zonation. Scriven, D.R., DiBacco, C., Locke, A. and Therriault, T.W. (2015). Ballast water management in Canada: A historical perspective and implications for the future. Marine Policy 59: 121-133. Danielle Scriven received her Bachelor of Science with Distinction from the University of Alberta in June of 2013, where she majored in Biology and minored in Earth and Atmospheric Sciences. During her undergraduate studies, Danielle spent a semester at Bamfield Marine Sciences Centre (BMSC) in Bamfield, British Columbia, where she gained invaluable hands-on field experience and developed her marine research skills. While at BMSC, Danielle completed an independent research project, focusing on phenotypic plasticity in anemone tentacles (Anthopleura xanthogrammica) as a function of wave velocity. 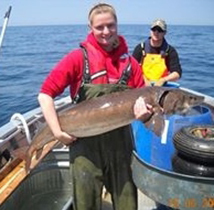 Danielle is currently a student in the Marine Affairs Program at Dalhousie University. During her tenure in the Master of Marine Management program, Danielle hopes to study jellyfish blooms, and determine underlying causes and possible management solutions. Danielle recognizes the need for interdisciplinary management within this realm, and is hopeful integrated management options will become evident during her time in the Marine Affairs Program. Stacie, a Masters of Marine Management candidate, was born in Ontario and raised in the salty ocean water of Grand Cayman. In 2006 Stacie began volunteering for the Cayman Islands Department of Environment’s Sea Turtle Nest Monitoring Program (and has not stopped). After completing her Bachelor’s degree in Biology from Hiram College in 2012 Stacie was hired by the Department as an intern, which inspired her to consider a career helping the ocean. Soon after, Stacie began working for Dr. Guy Harvey at the Guy Harvey Ocean Foundation, where her passion continued to grow and led her to Dalhousie. Stacie has three research interests; 1. How external factors affect marine health—factors such as land, rivers, pollution, and climate change. 2. Marine protected area development through studying population and migratory patterns to develop networks of protected areas that promote population growth and stabilization. And, third of course is anything turtle! Randel Thompson hails from the twin Island Federation of St. Kitts and Nevis. He graduated from the University of the Virgin Islands in 2011, with a B.Sc in Biology. Since completing his degree Randel has been employed at the Department of Marine Resources as a Fisheries Officer and has experience working with Fish Aggregating Devices (FADs) and monitor marine environment. 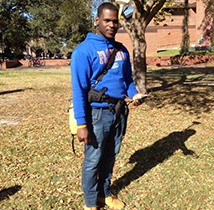 Previously, he was awarded a Florida Sea Grant scholarship to pursue short term studies on the development of the FAD Fishery of St. Kitts and Nevis by incorporating GIS for data collection and to display spatial relationships. Randel is currently interested in Coastal Zone Management and Fisheries Management as possible fields for research. On a more social end, He enjoys going on fishing expeditions, meeting new people and playing sports. Elise graduated with a Bachelor of Science in Marine and Freshwater Biology from the University of Guelph. Growing up in Southern Ontario, she became interested in the aquatic environment in her area and spent some time working for the Ministry of Natural Resources doing creel surveys and biological sampling in the Detroit River. 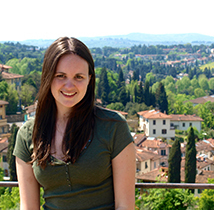 Upon completion of her degree, Elise became involved in the DNA barcoding initiative at the Biodiversity Institute of Ontario where she collaborated with researchers from all over the world in the task of building an international DNA barcode database. Throughout her education and her travels, Elise has developed a passion for the protection and preservation of vulnerable marine species and habitats. By the end of this program, Elise hopes to have gained an interdisciplinary perspective as well as knowledge of management strategies and techniques in order to effectively tackle marine conservation issues. Graduate Project Research - Diving dangerously: Exploring human health and resource trade-offs of extreme dive profiles in a Caribbean dive fishery. Nicolas graduated from the University of Plymouth with a First Class (Hons) BSc in Marine Biology. He holds an MA in International Development from the University of East Anglia where his thesis examined the livelihood resilience in small-scale fisherfolk following natural disasters. Nicolas’ has spent most of his life in the Caribbean where he has taught undergraduate marine biology and managed community-based sea turtle conservation initiatives. He has worked on a wide range of marine issues with many stakeholders and has been a vocal advocate for the sustainable development of coastal marine resources. His interest lies in the management of coastal resources and the stakeholders that depend on them. He believes that successful marine management agendas are dependent on a holistic approach spanning both natural and social sciences. 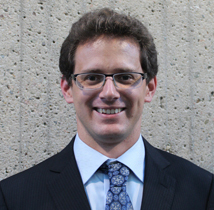 Nicolas will use his tenure as an MMM candidate to build on and share his experiences while working towards interdisciplinary doctoral research. He acknowledges support from Douglas M Johnston Maritime Awards Society of Canada Scholarship in Marine Affairs as well as a scholarship from Faculty of Graduate Studies at Dalhousie University.